California Asian Art Auction Gallery USA is an emerging auction house established in 2012, but its roots goes far and beyond. In 1998, the California Antique Art Center was found by a group of established Chinese art collectors and appraisers in Los Angeles, who specializes in Chinese ceramics, paintings, bronze, furniture, and jades. California Antique Art Center soon became a well-known Asian art gallery among Asian art collectors in Los Angeles and nation-wide. In 2012, California Asian Art Auction Gallery USA was established, which specialized in Asian Art, especially Chinese Art. Based in El Monte at East Los Angeles, California Asian Art Auction Gallery now offers more than four major Asian art auctions every year, and holds monthly or bimonthly estate and private collection sales, covering all areas of Asian art, including ceramics, jade, furniture, bronze, paintings, and other areas of interest. With a deep understanding of the art market, California Asian Art Auction Gallery continues to excel at attracting the finest Asian works of art and achieving best results for our consignors. 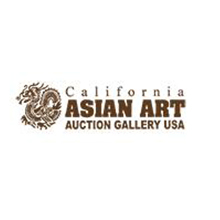 With over 17 years of professional experience and expertise, California Asian Art Auction Gallery remains the best place for people looking to buy and sell fine Asian works of art.